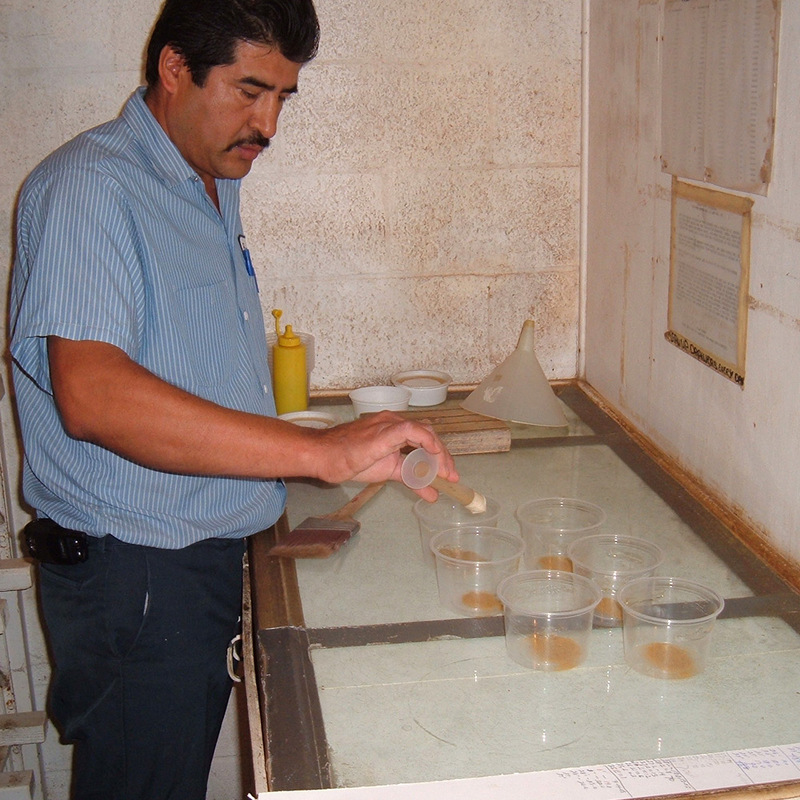 Control of California Red Scale and Other Scales Heavy infestations of Red scale will stress citrus trees and reduce yield. High scale levels can even kill branches and entire trees. 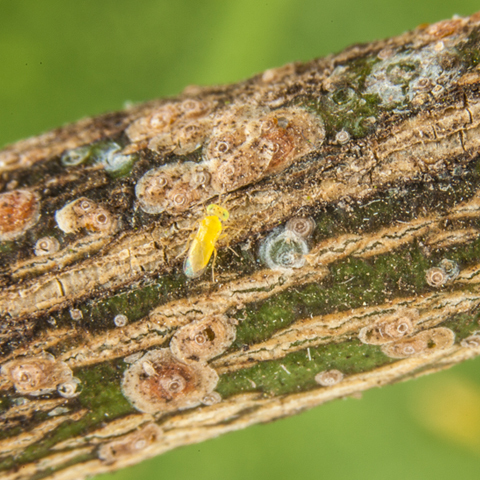 Although citrus is the main crop damaged by Red scale, it can also be found infesting 77 different species of plants. Aphytis melinus is a tiny wasp that is very effective in combating California Red scale. Standard release rates vary from 40,000 to 90,000 wasps per acre. Although, up to 120,000 wasps per acre may need to be released when scale levels are very high. 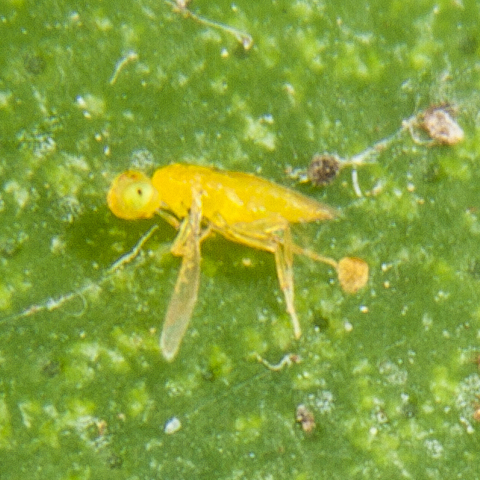 Although California Red scale (Aonidiella aurantii ) is the favorite prey of these tiny parasitic wasps, Aphytis females will also parasitize various types of armored scales such as; Oleander scale, San Jose scale, Ivy scale, and Citrus Yellow scale. 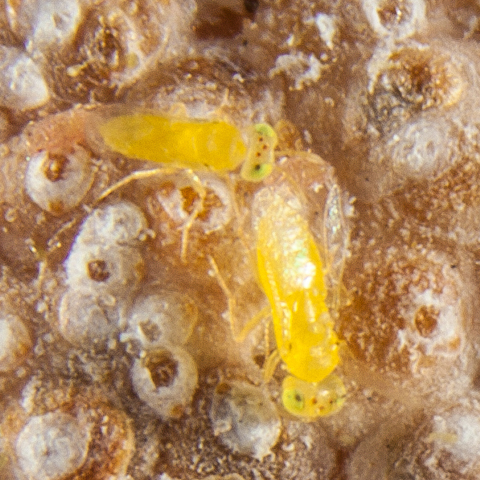 Aphytis melinus is a very small light yellow Golden Chalcid wasp. The adult female wasp lays an egg under the exterior hard shell of the Red scale. When the wasp egg hatches, the larvae of the wasp devours the soft adult scale insect. The Adult wasp emerges about 14 days later and starts to search for another Red scale to parasitize. 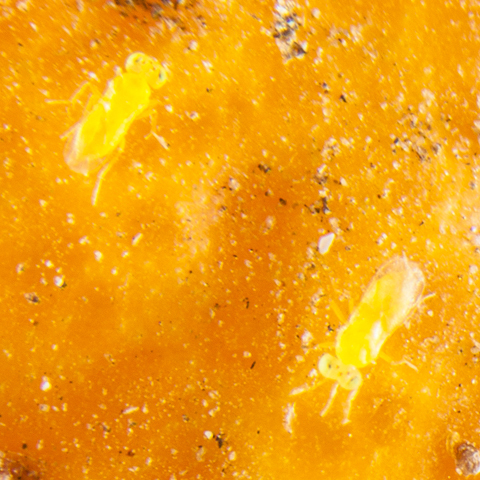 At a temperature of 80° F, Aphytis melinus wasps need 13-17 days to develop from egg to adult. Adults live for an average range of 10-16 days (up to 25) and lay 6-8 eggs daily. Important note: The effectiveness of Aphytis is greatly reduced if ants are active in the trees or plants because these ants will protect the scale from the Aphytis wasps. Aphytis melinus wasps can be shipped anywhere on an overnight basis. Contact our office for more information on pricing and shipping details. 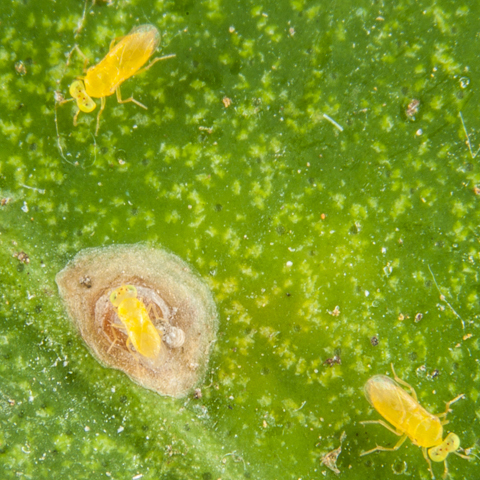 For more information on California Red scale from the University of California Integrated Pest Management Program, click here. 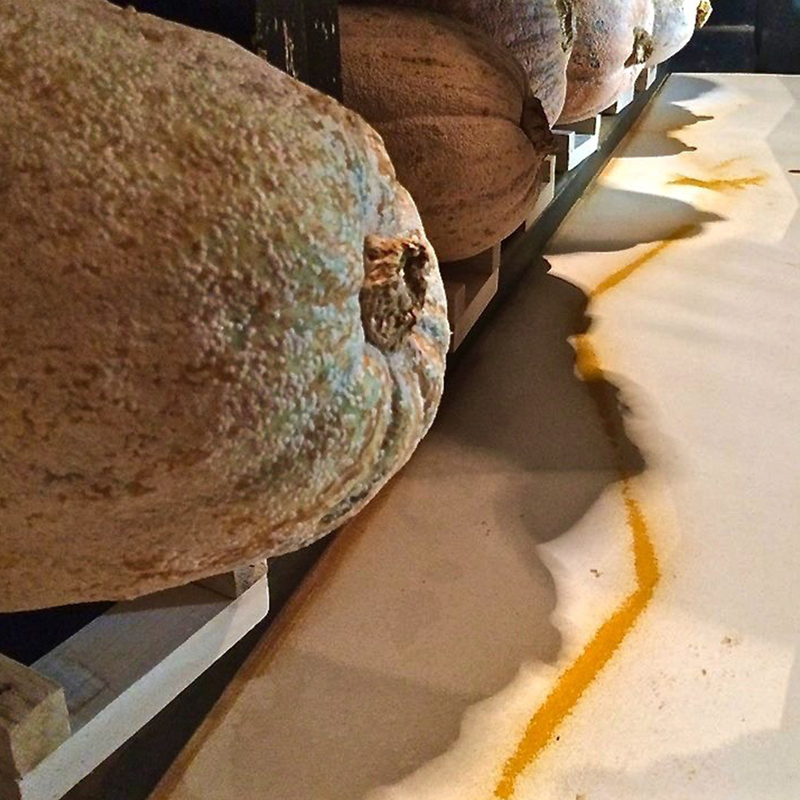 *The yellow “dust” is actually thousands of baby California red scale insects. Gathered California red scale insects.